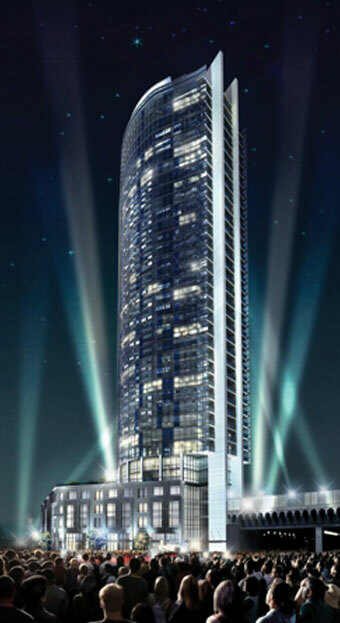 8 The Esplanade – L Tower Saturday, October 17 – 23, 2015. 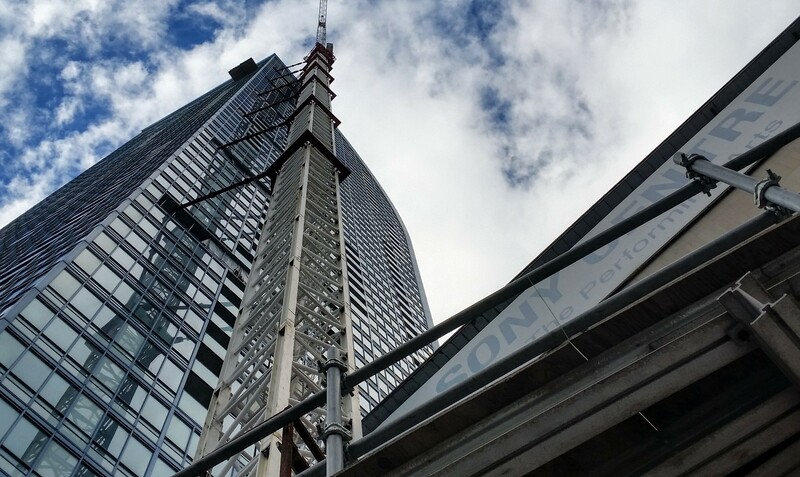 The L Tower crane remains is use through October, it’s removal is tentatively scheduled for November. We will provide precise information when it becomes available. 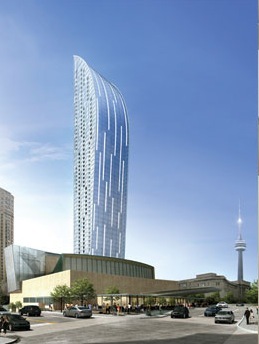 One of the unique elements of the L Tower is the underground parking which is located under the Backstage condominium on the south side of The Esplanade. 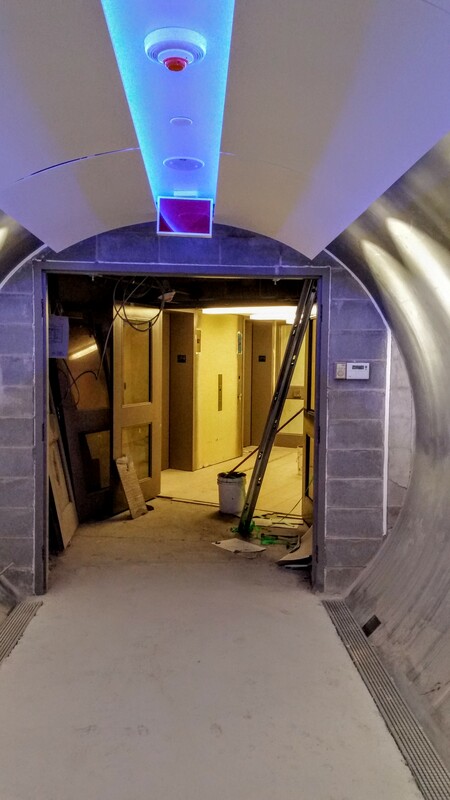 Today we had another peak into the private tunnel that will connect L Tower residents to their parking spaces. 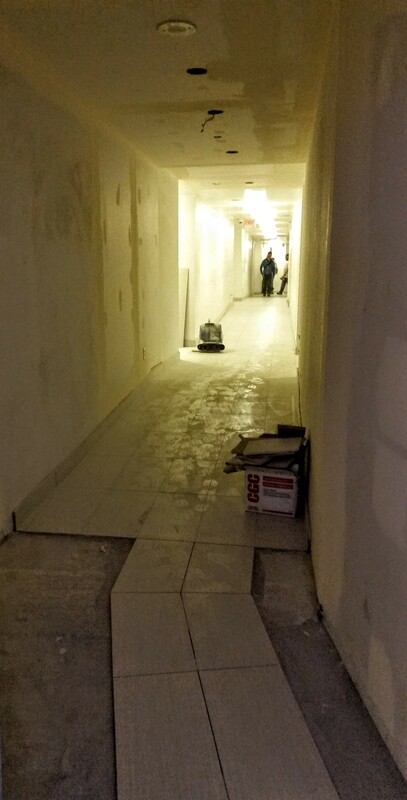 The floor of the tunnel still needs to be finished before residents may begin to use it. L Tower pedestrian parking access tunnel, opening to parking lobby located under Backstage condo. Toronto Hydro will soon be installing lamp standards on the north side The Esplanade between Scott Street and Yonge Street. The locations of the new street lights are indicated by “boxes” located along the sidewalk as pictured below. L Tower sidewalk with future lamp standard location (in orange). We get enquires from L Tower residents about the progress of internal work in the building. 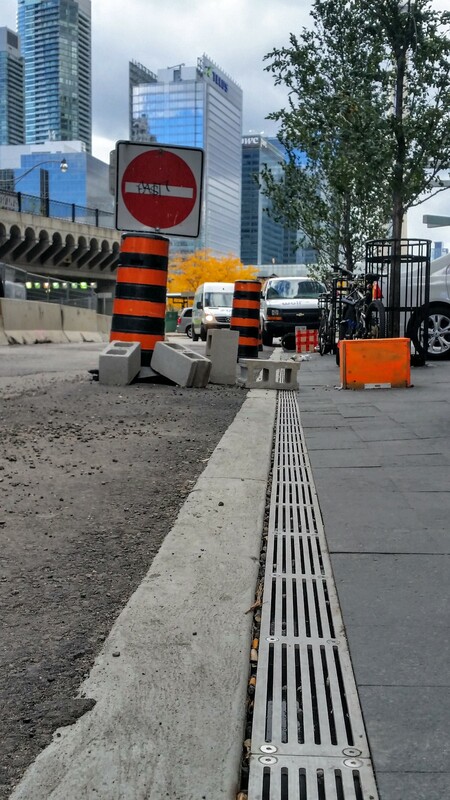 While we are happy to direct these enquiries to the appropriate people, please note that the purpose of this site is to provide construction information to external stakeholders, particularly in the immediate St. Lawrence Market neighbourhood.